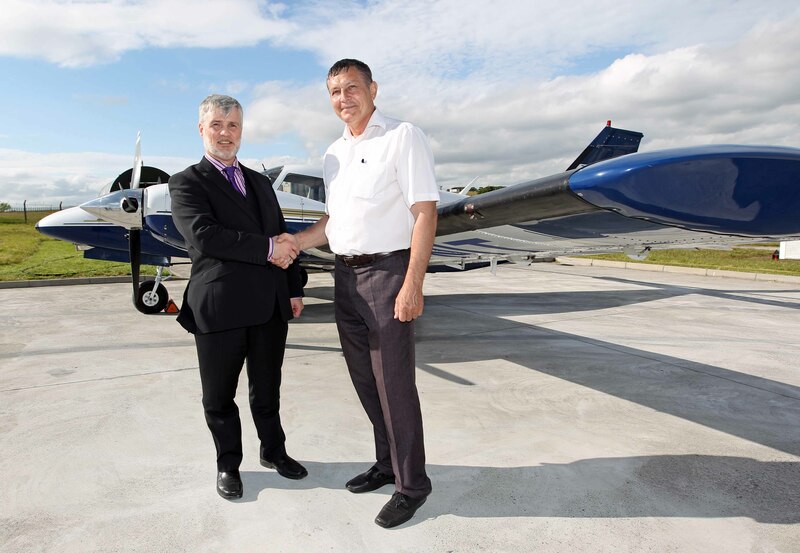 Ireland’s aviation sector has received a much-needed boost following the signing of a major contract between Atlantic flight Training Academy (AFTA), based at Cork International Airport, and Air Astana, the national airline of Kazakhstan. The four-year contract will see significant groups of the airline’s cadets arrive in Cork each year to complete 16 months of airline pilot training, beginning in August 2013. Air Astana, based in Almaty, is the main airline and flag carrier of Kazakhstan. With over 3,500 staff it operates a large fleet of narrow and wide body aircraft and is awaiting delivery of the new Boeing 787 Dreamliner. Despite a difficult recession, the academy has predicted a significant employment boost to the aviation sector saying that it will need to employ at least another 20 training personnel at its base in Cork Airport over the next 12 months to service the contract. Atlantic Flight Training Academy has a fleet of 14 aircraft, Cessna 172s and Senecas, a Super Decathlon for upset training, and also a new FNPT 11.